SKINFIX – organic herbal cream, a topical herbal skin recovery complex, is an innovative herbal cream concept developed with a highly refined formulation. SKINFIX – organic herbal cream will deliver those extremely satisfying results that even the most discerning consumer is looking for. SKINFIX – skincare beauty products are the culmination of our many years of experience and understanding of skin metabolism and physiology – and how skin responds to the “herbal remedy” approach. 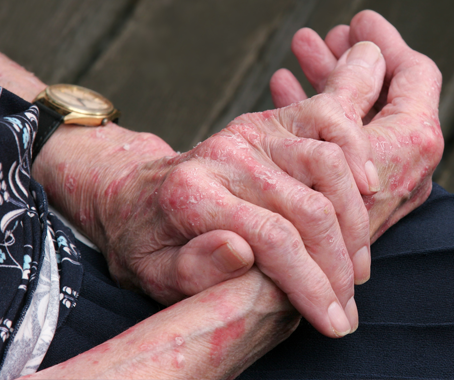 Carrying for skin, was an important concern to cultures around the world. From the oldest civilisations to the modern times, “taking care of skin” was and still is an important and for many, a daily activity. Traditionally herbs and oils were the main ingredients for this activity. We follow traditions and we offer to you, some well kept secrets by great and beautiful women in history.Beautiful glowing skin is the trademark of skin that is healthy and functional. By understanding how skin how skin lives and what it needs, we can achieve that “glow” we all are looking for. 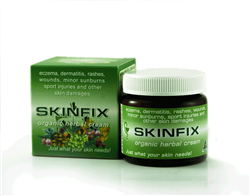 When visiting Australia last year I was given a jar of SKINFIX organic herbal cream developed by Ileana. 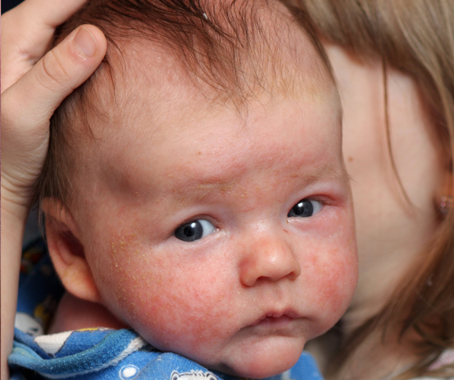 I have had a painful and irritating dermatitis on one of my cheeks. I was using an expensive prescription cream to control it. When arriving back to Poland I realized, I have run out of my usual medical cream. I have tried the SKINFIX herbal one. To my amazement my skin cleared overnight. I have been using this herbal alternative ever since and I am very grateful for this cream. I have lived and grown-up on a farm, northern NSW. Farm work is mostly outside in the open and as a “redhead” with sensitive skin complexion, my skin was left to the mercy of natures conditions; dust, sun, pollen and others... Over time, my skin become dry and even crusty on some parts of the body. I have used different skin creams but I was never impressed with any of them. 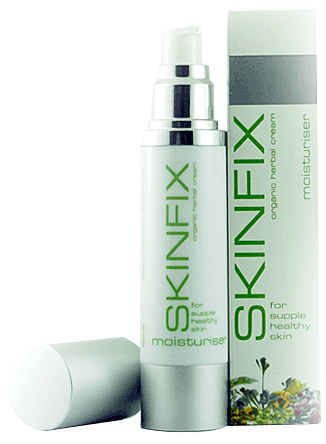 I am now in my mid 50’s and not much I have expected until I tumbled over this SKINFIX organic herbal cream. 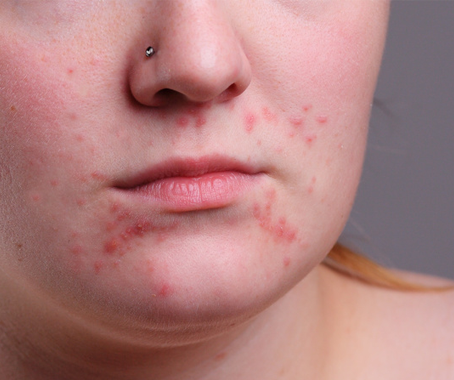 I have try-it and my attitude towards carrying for my own skin changed. I use this cream twice a day on my face and cannot live without-it. The dryness is gone. the colour improved and some wrinkles seemed to regress. The dry patches on elbows are gone too. My skin is smoother and yes, I feel much younger. Thank you SKINFIX. 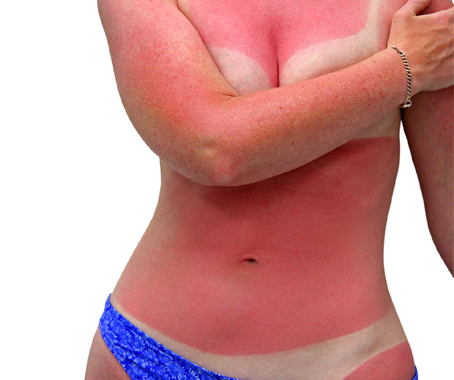 My sunburned nose left me maddening itchiness, refusing to heal for months. I saw the doctor who applied some dry ice to the area, that didn't help. A friend told me about Skinfix cream. I applied it 3 times a day, within 3 days the itchiness on my nose finally stopped. I now use this cream for everything. I have been using Ileana’s herbal cream for a year. It is just great for painful cuts and wounds. They heal quickly with no scaring, no need to use a Band-Aid. I would recommend this cream to anybody. You will never know unless you try. I start shaving when I was 14. By the time I was 19, shaving become a self inflicted torture. I have tried all sorts of shaving gels, soaps, aftershaves, vintage and modern shaving paraphernalia but I always ended up with a shaving rush mostly on the neck area. It runs in the family and my father’s advise was to “learn to live with it”. To recover my skin I’ve had to wear a beard for a month or so... All that has changed when a lady friend mentioned to me about “Skinfix herbal cream”. I have use it once and I knew my life was changed. I am using now this cream as an aftershave. I cannot be more thankful to its creator and hence, it’s just herbal. 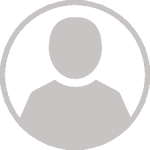 Copyright© 2018 Skinfix Pty Ltd | All Rights Reserved.